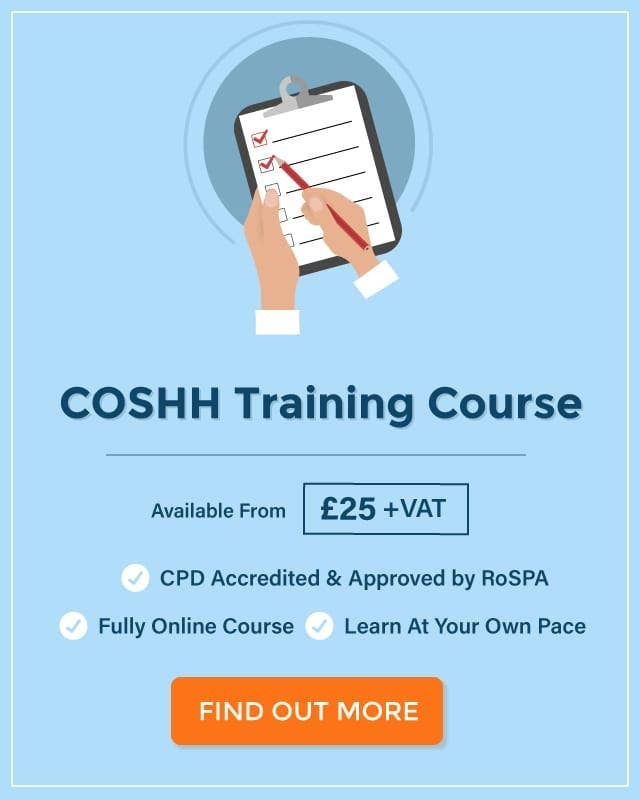 What is A COSHH Assessment and Does My Workplace Need One? As an employer, you have a legal duty to reduce any potential risks to your employees’ health. Part of this duty, involves carrying out a COSHH assessment if hazardous substances are likely to be present in your workplace. If you use hazardous substances, you are likely to already know that you are subject to COSHH regulations. However, not all hazardous substances are easily identifiable, and you might have duties under COSHH without even knowing. 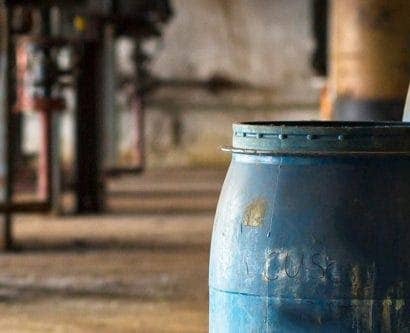 This article will explain how to identify and assess risks in your workplace, so you can properly carry out a COSHH assessment and protect your employees. A COSHH assessment helps you to identify the hazards and risks from hazardous substances in your workplace. Simply put, it’s a thorough risk assessment that concentrates on your workplace’s exposure to hazardous substances. 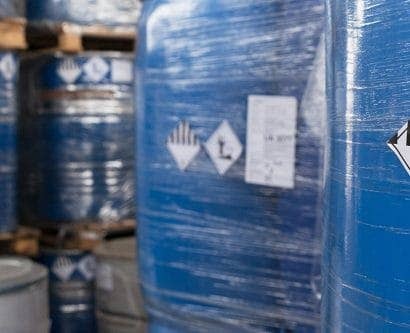 You only need to carry out a COSHH assessment if hazardous substances are likely to be present in your workplace. Collect information on the substances you use and your work practices. Select appropriate control measures to reduce or eliminate the risks. Record your findings and implement your control measures. Monitor performance and review your assessment. Before you start your COSHH assessment, you need to determine who will carry it out. As an employer, it’s your duty to nominate a ‘competent’ person to complete it. This may be yourself, an employee or an outside consultant. However, the more serious and complex the risks, and the larger your workplace, the more likely it is that you’ll need to consult individuals with technical expertise in occupational hygiene and involve more people in your assessment process. This is very important if your organisation involves several different departments, all using different hazardous substances and work processes. Additionally, you need to ensure that you can appropriately manage everyone involved. 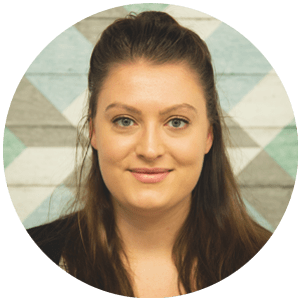 Therefore, you must nominate someone to be in charge of the process – this can be yourself or another competent person – or create a central coordinating body. The nominated person or coordinating body, is responsible for selecting competent team members, clearly identifying individual responsibilities and giving guidance throughout the process. For more information on deciding who should carry out your risk assessment, consult the HSE’s step by step guide. 1. Collect information on the substances you use and your work practices. Microorganisms, such as eggs and larvae. You may not always be aware of which substances in your workplace are hazardous. This is because hazardous substances aren’t always labelled with hazard symbols. For example, flowers, bulbs, some fungi, wet cement and glue are all hazardous substances under COSHH. Additionally, if you work in a production plant, you must also consider intermediates, bi-products, finished products, etc. of all your processes, as these may also be hazardous. Walk around your workplace and look for any potential exposure to hazardous substances. Use Material Safety Data Sheets (MSDSs), consult the product manufacturers, visit Your Industry HSE page, check to see if they’re listed on the EH40 Occupational exposure limits list, and consult specialists. Note down jobs and work processes that involve exposure. Additionally, you should consider how the substances are hazardous. Identify how your employees are exposed (inhaled, injected by contaminated sharps, swallowed, etc.) and what effects this exposure could have on the individual. People residing or working in the vicinity. For examples on how processes might impact different groups of people, consult the HSE’s step by step guide. COSHH doesn’t cover lead, asbestos or radioactive substances, as these substances are controlled by their own regulations. 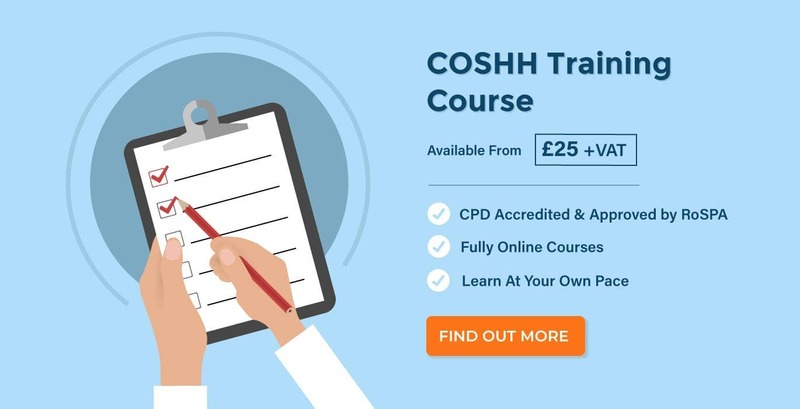 For more information on the substances not covered by COSHH, visit the HSE website. 2. Evaluate the health risks. The potential of a substance to cause harm. How often exposure is likely to occur. When assessing exposure, think about day-to-day tasks, routine cleaning and maintenance, and potential spillages or release, as the hazards and people impacted might change. After you have evaluated the exposure, you must consider when this exposure might result in a health risk. Is controlled in a way that’s non-compliant with COSHH regulation 7. 3. Select appropriate control measures to reduce or eliminate the risks. By this stage in your assessment, you should have identified the hazards, decided who is at risk of exposure, evaluated the risks posed to the various groups or individuals exposed and identified instances of unacceptable exposure. The next stage is to decide how you can reduce or eliminate these risks. Which hazards pose the most serious health risks. How quickly and easily you can implement the control. However, you should tackle the hazards with the most serious health risks first. You shouldn’t ignore these in favour of dealing with hazards that are quicker or easier to eliminate. Elimination – Carefully choose your processes and systems to completely eliminate exposure to hazardous substances. 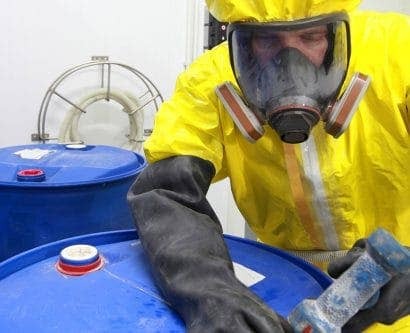 Substitution – Substitute the hazardous substances you use for less hazardous alternatives. Isolation – Consider using equipment that encloses the whole process to reduce exposure. Engineering – Make physical changes to your process to remove any risk, such as including adequate ventilation or adding splash guards to equipment. Administration – For example, install signs, ensure appropriate training, and rotate jobs. Personal Protective Equipment (PPE) – Enforce the use of PPE, such as googles and gloves. You should only use PPE should as a last resort. 4. Record your findings and implement your control measures. You are legally required to record the results of your COSHH assessment if you have 5 or more employees. However, it’s good practice to record your findings even if you have fewer than 5 employees. Your record should outline the hazards, the precautions you have chosen, and how and why you chose them. 5. Monitor performance and review your assessment. You must regularly monitor your COSHH assessment in order to confirm that your control measures are still effective. You don’t need to repeat the whole process every time you review your assessment. Instead, you should review your current version to ensure that is it still suitable and sufficient, and update where necessary. There is evidence to suggest your current assessment is no longer valid. For example, in the event of an accident or incident. Your work circumstances (such as processes, equipment or substances used) change significantly. As an employer, it’s your responsibility to protect your employees from hazardous substances. In order to do this, you must carry out a COSHH assessment. Follow the information set out in this guide to ensure that you comply with your legal responsibilities.